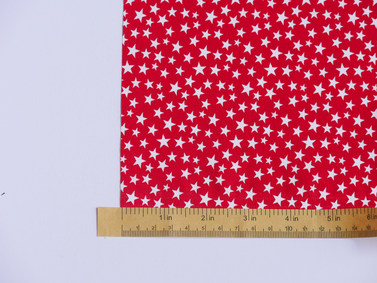 Measure and cut fabric into strips measuring 4x8. 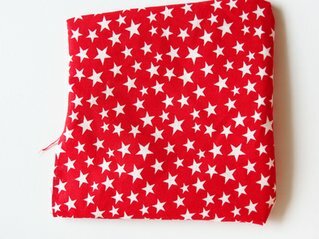 Fold your fabric in half with the printed side facing in. Sew the two sides together, leaving about 2 inches open on one side. 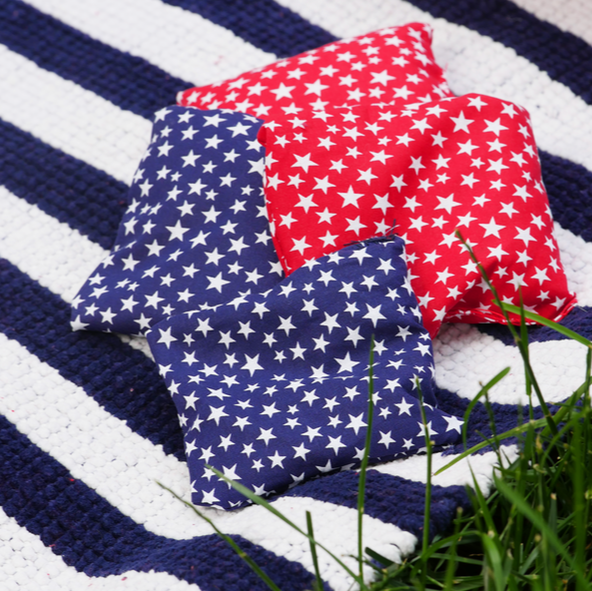 Turn your fabric right-side out. 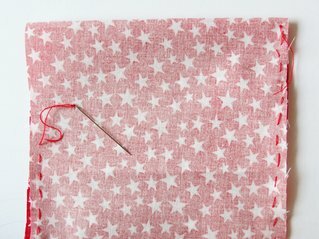 If you are having trouble getting your corners perfect, use a chopstick or a pencil to help push the fabric out. Using a standard sheet of paper, create a funnel. 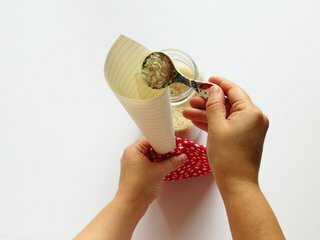 Using funnel, pour or scoop rice into your bean bag. 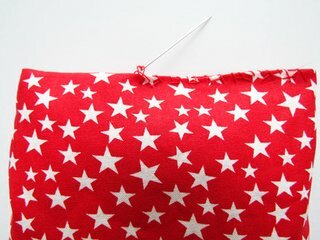 Tuck the fabric into your bag for an even edge and sew closed. 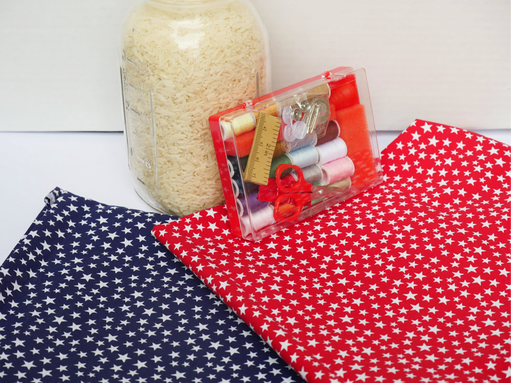 Sew over this area twice to reinforce the fabric.